No stripes, No smell, No orange! 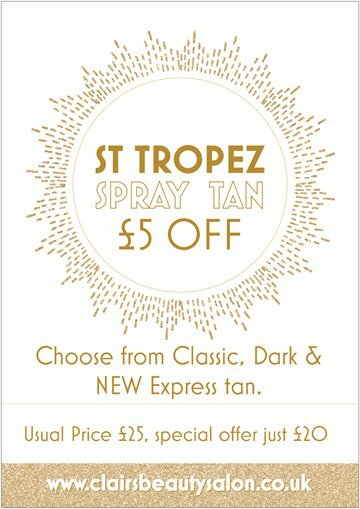 we have been using St Tropez Tan since 2001 and we are confident that you will love your tan. Nicky does the spray tan treatments and they take approx 10-15 mins. Save £5.00 this month on this great offer! Offer ends Saturday 30th April!